As I have always said, I am a huge online shopper. Although most of the time, all I do is window shop. :p Anyway, let me share to you the latest product that I acquired online. This one’s from Tmart.com, an online shop which offers a wide range of products from makeup sets, accessories, and bags to gadgets and consumer electronics. They literally have everything in their shop! 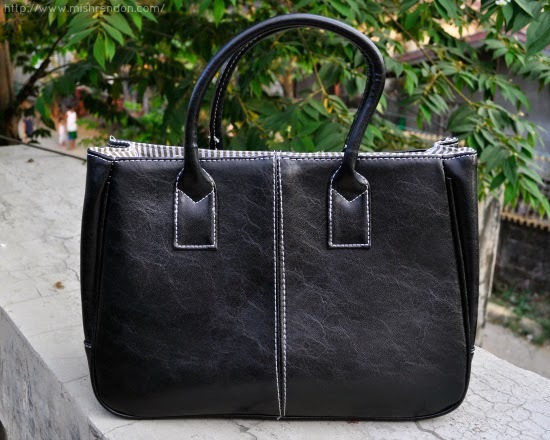 The product that I’ll be reviewing is the Black PU Leather Handbag. 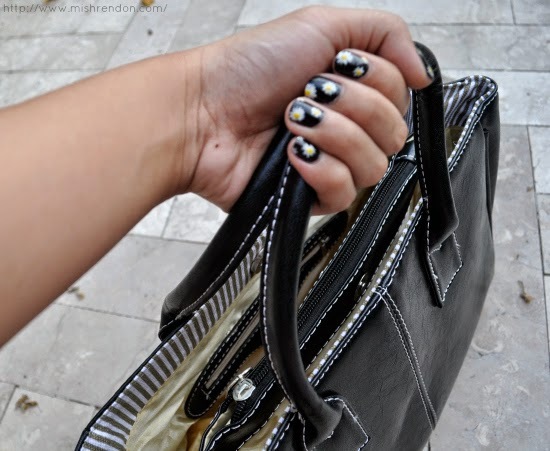 I personally chose this product because I love classy and spacious handbags that never go out of style. They go well with any outfit – from casual to business. They can also carry everything you’ll need for everyday. Dimensions: 12.60" x 5.12" x 9.25"
My first impression about this product is that the PU leather material looks very nice. It does not look cheap at all considering that the product costs only around $11. The bag is very roomy too for all the things I usually put inside my bag such as my umbrella, glasses case, vanity kit, etc. 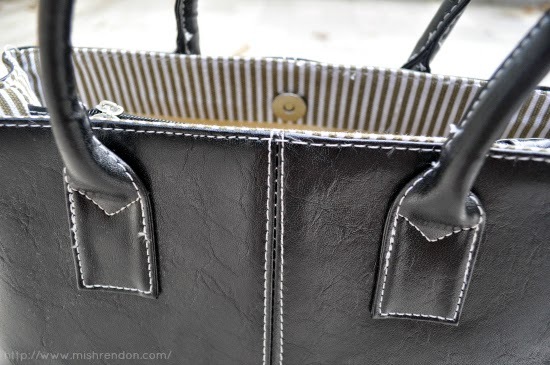 I love too how the handle is very thick because I think bags with thin handles tend to deteriorate faster. It is also amazing how the bag keeps its box shape despite the weight of the contents. Personally, I prefer bags that do not have zipper as an opening because it’s too much hassle to open bags for security inspection at the mall or at the MRT or LRT, especially when I have books with me. 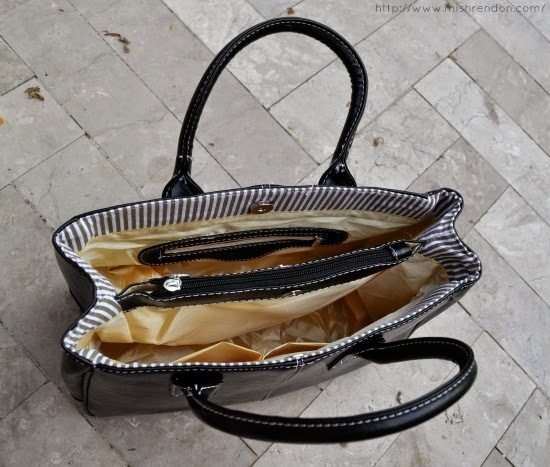 This one is perfect for me because the main opening only has magnetic locks but it has two zipper enclosures in the middle and the side of the bag for my valuables. Moreover, it also has two pockets inside for cellular phones (although I do not recommend using it for that unless you’re willing to give away your phone :p). If there is anything I did not really love about the bag, it would probably be the lining inside. The fabric is not just very appealing to me. Aside from such fact, this product is very great considering that it is very affordable. Tmart also has tons of bags that would definitely suit everyone's taste. Check out the rest of their huge collection at Tmart.com! looks beautiful. don't like the inside lining too!